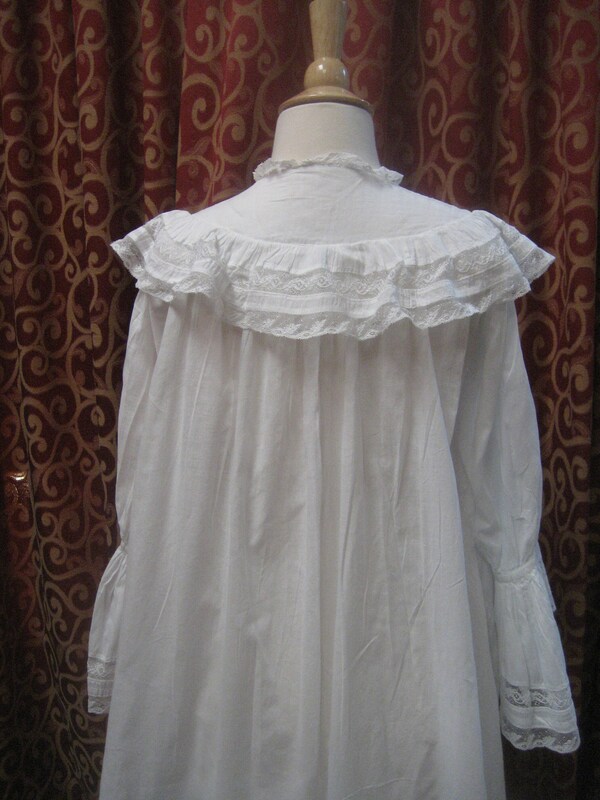 1890's, 36 bust, white batiste cotton floor length night gown. 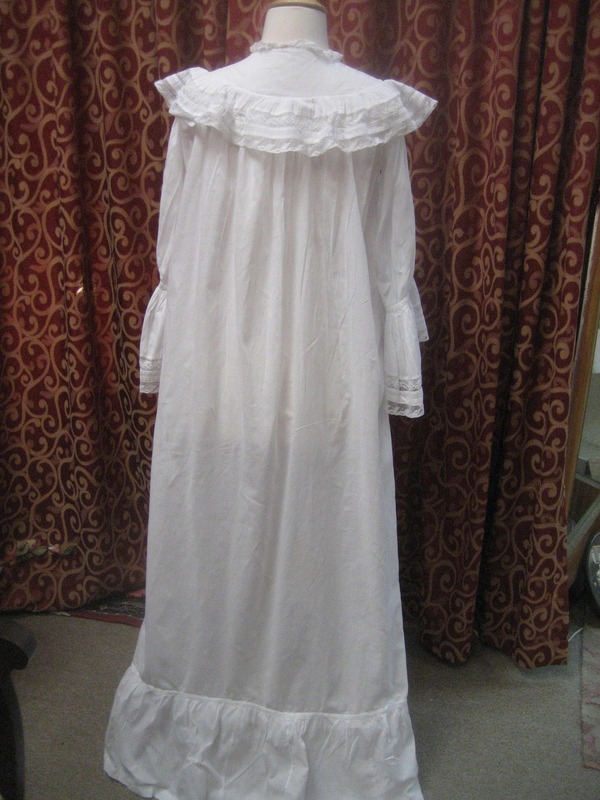 1890's, 36" bust, white batiste cotton floor length night gown. 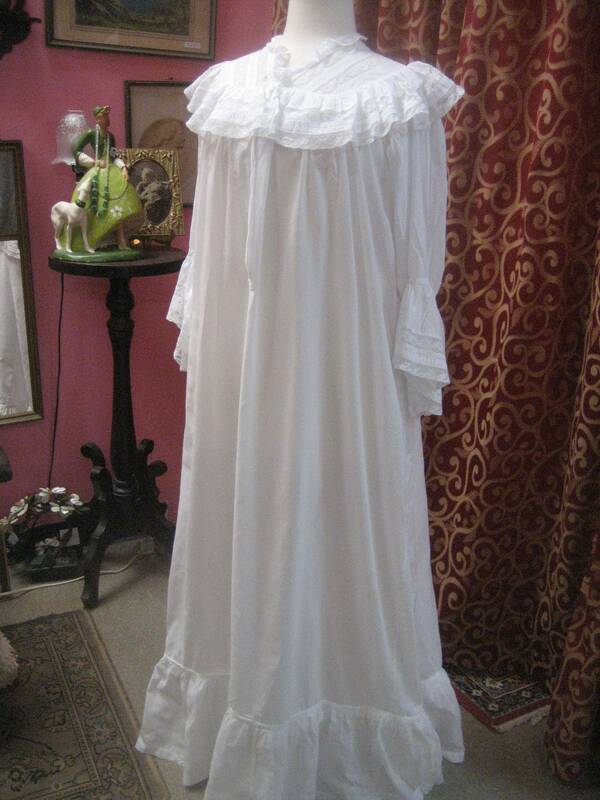 1890's, 36" bust, white batiste cotton floor length night gown. 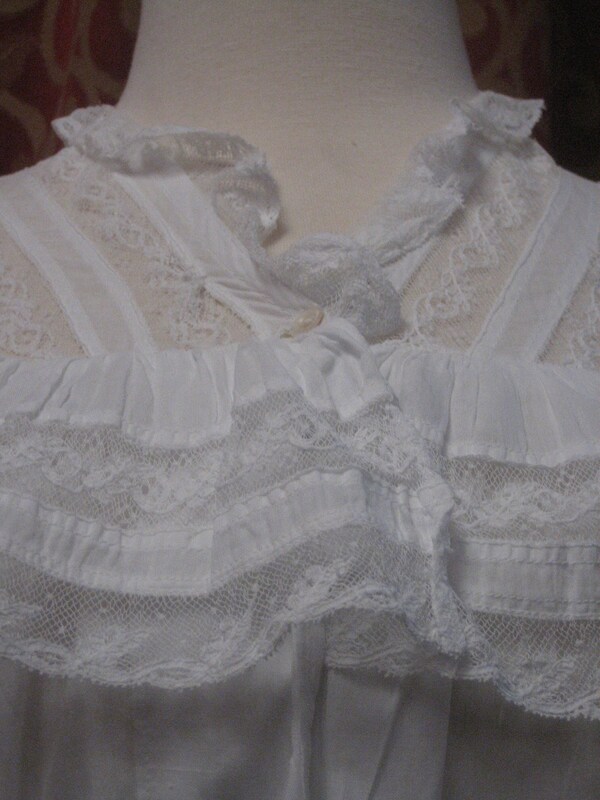 Nightgown has lace inserts at yoke, and same lace along ruffle at shoulders. Sleeves are full with long flounce at elbows. Sleeves are puffed at shoulders, tighter at forearms. 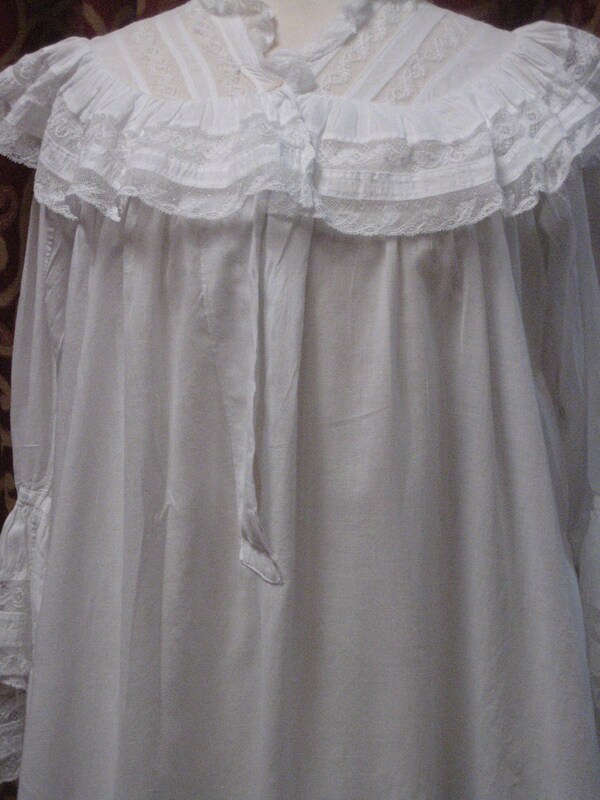 Nightgown is full from shoulder to hem. Hem has a deep flounce at bottom. 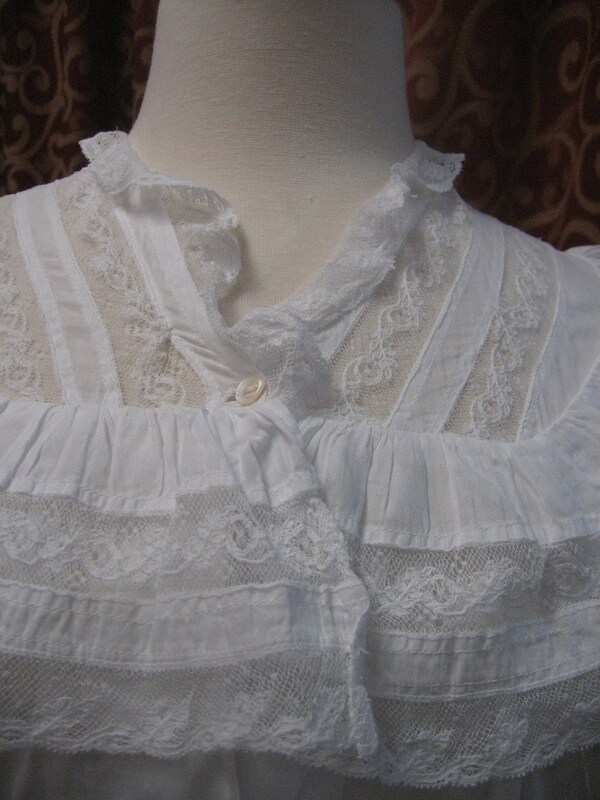 Single shell button fastens nightgown at bodice in front.